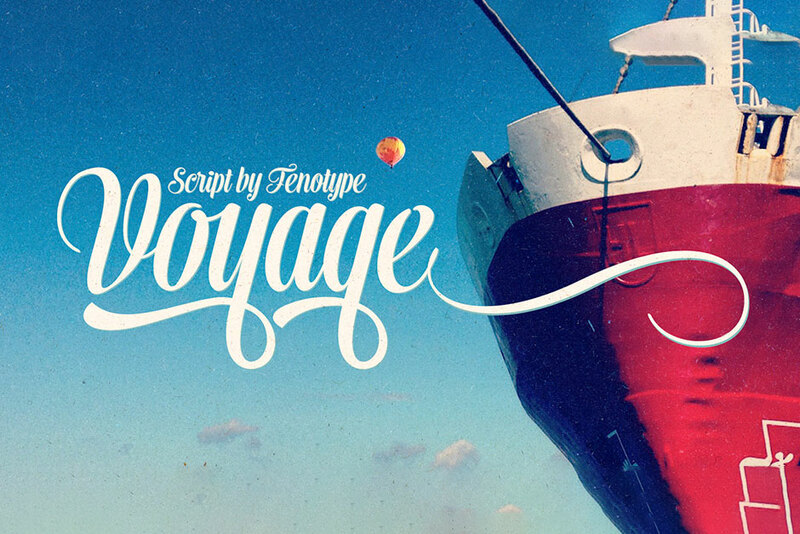 Voyage is a smooth and friendly vintage script family of two weights and ornament sets. It is packed with alternate characters and OpenType features to allow you create customized headlines. Combine Voyage with Voyage Ornaments to complete your designs. To activate the alternates click on Swash, Contextual, Stylistic or Titling Alternates or Discretionary Ligatures in any OpenType savvy program or manually select the characters from the Glyph Palette. Always keep the Standard Ligatures on for the best outcome. File size is approx 197.6KB (287KB unzipped), offered as a single download.